“The U.S. Food and Drug Administration today announced the availability of the first draft guidance for industry on Risk Evaluation and Mitigation Strategies or REMS, which are required for certain drugs or biologics. The Food and Drug Administration Amendments Act of 2007 (FDAAA) granted the FDA the authority to require the submission and implementation of a REMS if the FDA determines a REMS is necessary to ensure that a drug’s benefits outweigh its risks. REMS components include medication guides; patient package inserts; a communication plan for health care providers; elements to ensure safe use including requirements for those who prescribe, dispense, or use the drug; and a timetable for REMS submission. “The FDA finally convened its panel in January 2009, and the panelists voted unanimously that Sabril should be approved both for babies with infantile spasms and for adults who had run out of options. In February, Lundbeck, a Danish drug maker, bought Ovation for $900 million. The press release announcing the deal trumpeted that Sabril was in the final stages of FDA review. A “Field Management Directive” is a method by which senior management at the Office of Regulatory Affairs (ORA), the field organization that conducts FDA inspections, sets ORA policy. This means that FDA should Routinely issue a copy of the inspection report after they close an inspection. You shouldn’t even have to ask although you almost always do. If inspected by FDA you should ask the field investigator about obtaining a copy of the report per FMD 145. If it has been more than 90 days since you have had an FDA inspection and received a letter from FDA saying “no further communication is necessary,” or something like that, then you should ask for a copy of your EIR. You should contact the address listed on your FDA 482, Notice of Inspection, that was issued at the beginning of the inspection. FDA instituted this policy so an inspected party would receive a copy of their inspection report prior to the report being released to the public at large under the Freedom of Information Act. 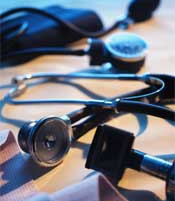 If you have been inspected by FDA then you have a right to a copy of your inspection report and you should ask for it. FMD-145 is a tool for you to use to improve your compliance with FDA regulations. The EIR contains important information on how FDA approaches their inspections and how they view your compliance with FDA regulations. It is the first thing an FDA Consumer Safety Officer will read before retuning to conduct a follow-up inspection. It is valuable information for your use. FDA states that they are committed to “Effective Enforcement.” Adhering to FMD-145 is an important component of that. The Form FDA 483, Inspectional Observations, is the first step on the road to most FDA enforcement actions. The form can be issued by an FDA investigator at the conclusion of an inspection. It lists what the investigator feels are “clear and significant” violations of the FDA regulations. There is no requirement to respond to a 483 but it is highly recommended. Now, there is a 15 business day deadline for a company to respond if it is going to be considered when FDA compliance officials decide to write a Warning Letter. Read more about the Form FDA 483 on the page at the top of the Blog. Read more about FDA’s new deadline on the Blogroll at: “PharmTech Talk,” the blog of Pharmaceutical Technology, one of the publications in the Life Sciences group of Advanstar Communications. You can also scroll down to an interesting post on “Sharfstein Addresses Industry,” the PDA, that outlines his public health approach for FDA. This is an interesting blog well worth keeping tabs on. Also from Advanstar is the new blog for Applied Clinical Trials which I am also adding to the Blogroll. Medical device safety and the FDA are in the news again. One of the first posts I wrote for the Blog was “FDA Hit With Yet Another Negative Report.” And there it was, top of the fold on the front page of the New York Times, and many other papers across the country, “F.D.A. Admits Role of Politics In Safety Case.” The article was on FDA leadership ordering the approval of Menaflex, a medical device, over the objections of FDA scientists. But this time is different. This time the report didn’t come from an outside investigation. This time it came from FDA. That certainly is my experience. I first joined FDA in November 1987 as a temporary under assistant support staff making Xerox copies of inspection reports to be redacted for release under the Freedom of Information Act. I was hired in January 1988 and worked for the next 17 years (and three days) and not once saw FDA publicly admit they made a mistake (I left in January 2005). Not once. Trust me. during that period FDA made many mistakes (some of them by me). I have never heard an FDA leader say anything remotely like that before. And Dr. Sharfstein is not just concerned with FDA’s problems; he actually wants to fix things. My personal opinion is that things are changing at FDA. Dr. Hamburg and Dr. Sharfstein certainly have my attention. And they have my support. FDA needs significant, meaningful change to fulfill its public health mission. It looks like the agency has two determined leaders to begin that process. When I first joined FDA the agency would always state that we were a science-based agency. It will be better for patients, industry, and the public at large if once again we can make that an accurate statement. Yes, fascinating report, deserves to be read closely. OK Times stories yesterday and today, but here is the line I found worth copying from the report: “Our ability to assess the effect of these departures on the decision-making process was in many cases undermined by the failure of important decision-makers to sufficiently explain and document the bases for their decisions in an administrative record. This failure constitutes a clear deviation from the principles of integrity used in this review and undermines the ability of the agency to counter the suggestion that lobbying on behalf of ReGen affected the decision.” I think you are right, Carl. Yet I find it troubling that integrity depends entirely on who does the appointing of top officials. No set of rules guarantees integrity, but the political lines of authority here make it too uncertain. More independence, tighter mission, seem in order. meeting of the Regulatory Affairs Professional Society (RAPS) in Philadelphia. Her prepared remarks noted that when she took the job four months ago FDA was an organization in crisis. She noted that in a recently published poll FDA received the second worst approval ratings of any federal agency, worse than the IRS. She also congratulated RAPS for its continued excellence and the importance of industry professionals in maintaining public health through “Quality by Design.” She used the Orphan Drug Act as an example of how FDA could adapt to public health needs in the drug approval process. She repeatedly praised FDA staff as committed public health professionals. Dr. Hamburg continued to discuss her theme of “effective enforcement” that she outlined in a previous speech to the Food and Drug Law Institute. She repeated themes including clear enforcement standards, publicizing enforcement actions, and explaining the reasons for those actions. She also took questions in a lively Q & A session that lasted nearly a half an hour. Responding to one question she stressed the importance of food safety and addressed legislation moving forward in Congress that would give FDA new powers including mandatory recalls and tracebacks during a food safety crisis. FDA currently cannot require a company to recall an adulterated product. 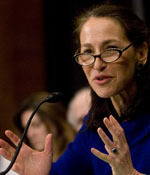 She also said that there would be a Deputy Commissioner for Food that would be part of the Office of the Commissioner in addition to the Director of the Center for Food Safety and Applied Nutrition noting that food crossed multiple jurisdictions in FDA (veterinary food) as well as government agencies (15-16). She was asked about the foreign inspection program which the questioner said had “less rigor” than domestic inspections. Hamburg candidly replied that “we have a system that is inadequate,” and that FDA doesn’t have the strategic framework for their international program. Hamburg stated that there was an ongoing “intensive internal discussion” on international issues. She spoke of the need to collaborate with other regulatory agencies around the world, to “share on the ground information,” and work with other developed countries to develop the regulatory capacity of developing nations. “We cannot and should not go it alone,” Hamburg emphasized. She also said that FDA had a “very large agenda with respect to clinical trials.” Unfortunately she didn’t elaborate very much on this point as it was the last question she took before leaving the conference. She received very strong applause as she concluded, indicating that many in regulated industry think that she is a breath of fresh air, as well as very smart. I’m in agreement. Phase IV drug research, post market studies, don’t have a good reputation. FDA regulations share some of the blame. One time when I was still an FDA field investigator I was assigned to look into a complaint about a clinical trial. However, it turned out that there wasn’t much I could do but listen to the complainant and write up a report. You see, the complaint was about a Phase IV study of a drug that was already approved. FDA clinical trial regulations only cover “New Drugs,” those still being tested to prove safety and effectiveness prior to receiving FDA approval for its indicated use. Hundreds of clinical trials are conducted every year that are not inspected by FDA. They are post-approval studies that FDA periodically requests as a condition of approval when FDA wants to review additional data about a drug’s safety. 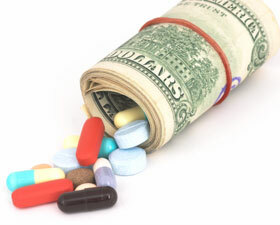 Also a drug company may conduct a Phase IV study just to help market their drug. Reuters has just published “good news” that drug companies are finishing more of the post-marketing studies than originally believed. See the link on the Blogroll, “11: Reuters on post market studies.” A study conducted by the consulting firm Booz Allen Hamilton Inc., a favorite of FDA, found that 501 of 1531 post marketing studies requested by FDA have actually been completed. The others are reportedly in the process of completion although 15% have been “delayed.”. However, FDA has only reviewed 23% of the studies in the one year they are supposed to. Not a good track record. Two major industry organizations, BIO and PhRMA, have lauded the findings which are posted on FDA’s web page. Critics have a different opinion. According to Reuters: Diana Zuckerman, president of the advocacy group National Research Center for Women & Families, said even if companies finish such studies, the results don’t necessarily provide useful information. She said patients are not necessarily tracked as well as in trials done before approval. There is another point to consider. FDA does not conduct any inspections to determine the quality of post marketing studies. As I found out seven years ago when I investigated an insider’s complaint, the regulations aren’t there and there just isn’t an inspection program. There are no requirements that the studies meet any quality standards. So critics just might have a point. You are currently browsing the GxP Perspectives blog archives for September, 2009.